Peerless comfort and sophistication lie at the heart of Range Rovers. Both these iconic SUVs carry forth the legacy of Land Rover by offering heightened levels of luxury, capability, technology and refinement. We are sure our Range Rover fans and discerning customers would be delighted with the last offerings. The heritage of Range Rover lives on as the Model Year 2018 Range Rover and Range Rover Sport packs compelling design and supreme comfort with utmost sophistication. 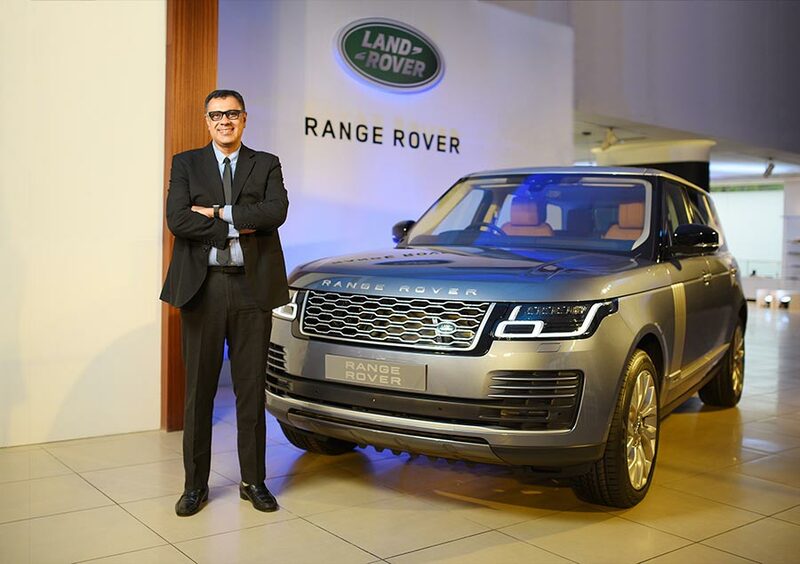 Its exteriors have been upgraded with an all-new front grille, the clamshell bonnet, crafted out of a single sheet of aluminium is now elongated and smoother while the redesigned bonnet and fender vents on the Range Rover Sport provide for a cleaner and dynamic design. The Pixel-Laser headlights and rear LED lights add further distinction to the Range Rover and Range Rover Sport. The driving experience continues to offer supreme comfort and tranquil, owing to the presence of Semi-Aniline leather, wider seats and deeper cushioning with soft foam interlayers. The Range Rover is fitted with 60:40 bench seating as standard. A retractable power deployable centre console, part of the optional rear Executive Class seating on the Range Rover reveals a third seat in the pillion chamber, while heated arm rest, calf rest and footrest elevate the luxury experience. Passenger comfort is further enhanced through features such as Extreme Passenger Seat Away and one touch recline. Choose Long Wheelbase of [3.12] m to enjoy an additional 186 mm rear legroom. Other highlight features include a panoramic sunroof with gesture sunblind that opens and closes at the occupant’s hand movement, Adaptive Cruise Control with Queue Assist, 4-zone climate and a choice of Meridian Sound systems. The Touch Pro Duo Infotainment System, standard on the Model Year 2018 Range Rover and Range Rover Sport adds further value by delivering an uncluttered console that doesn’t distract the driver while enhanced Configurable lighting with a choice of ten colours adds greatly to the overall sense of calm. The Range Rover and Range Rover Sport continues to offer outstanding capability on-road and off-road. Electronic Air Suspension offers a sure-footed and composed drive, changing the ride height very quickly and allowing crosslinking of the diagonal wheels to keep all four wheels on the ground on very uneven surfaces. The Range Rover has a choice of ride height settings, ranging from an access height of 50 mm below normal to an extended height of 70 mm, with an additional extended 80 mm for extreme off-road conditions. Further aiding the on and off-road experience is Terrain Response 2, over the manual choice of seven settings in Terrain Response that automatically optimises driveability and traction by adapting responses of the vehicle’s engine, gearbox, centre differential and chassis systems to match the demands of the terrain. From providing driving pleasure to refinement and fuel economy, there is a range of engines to choose from on the Model Year 2018 Range Rover and Range Rover Sport to suit your needs. The Model Year 2018 Range Rover and Range Rover Sport offers both petrol and diesel powertrains, with 250 kW and 386 kW in petrol and 190 kW and 250 kW in diesel. 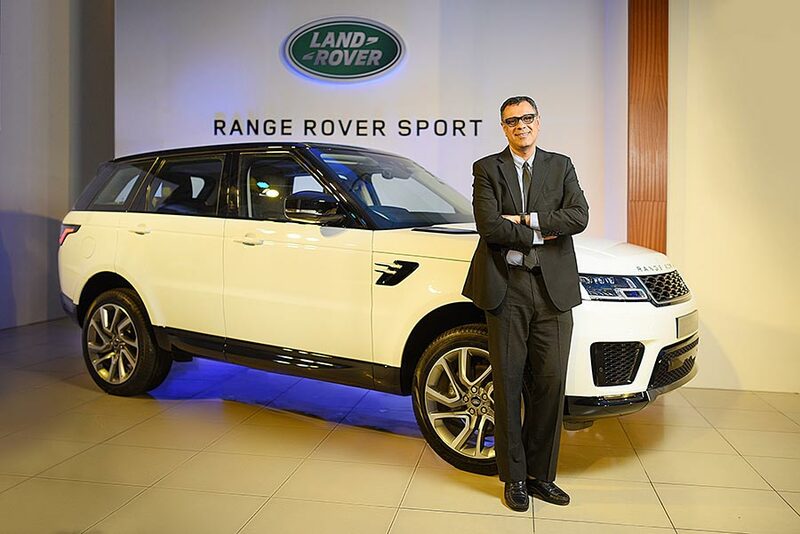 The Land Rover range in India includes the Discovery Sport (starting at ₹ 43.80 Lakh), Range Rover Evoque (starting at ₹ 51.83 Lakh), All-New Discovery (starting at ₹ 71.38 Lakh), the New Range Rover Velar (starting at ₹ 80.92 Lakh), Range Rover Sport (starting at ₹ 99.48 Lakh) and Range Rover (starting at ₹ 174.29 Lakh). All prices mentioned are ex-showroom prices in India. Land Rover vehicles are available in India through 27 authorised outlets in Ahmedabad, Aurangabad, Bengaluru, Bhubaneswar, Chandigarh, Chennai, Coimbatore, Delhi, Gurgaon, Hyderabad, Indore, Jaipur, Kolkata, Kochi, Karnal, Lucknow, Ludhiana, Mangalore, Mumbai, Nagpur, Noida, Pune, Raipur, Surat and Vijayawada.